Ever since Heath Ledger opened The Dark Knight with that iconic sequence, I’ve always wanted to wear a cool clown mask and rob a bank whilst maintaining a particularly debonair attitude about the whole thing. GTA V has recently tried that with its Heists update, and while that works rather well it is undoubtedly Payday 2: Crimewave Edition that attempts to be the real kingpin in this arena. The question is – how well does it perform on next-gen consoles? Believe it or not, I’d yet to play a Payday title until this one popped up on my radar. I’d always seen “lets play” videos of the original game on Twitch and generally thought the whole thing looked rather exciting. It seemed to capture the spirit of teamwork and heists successfully; when I heard a boosted 1080p version was available on Xbox One/PS4 with new textures implemented across the whole title I knew I had to be one of the first to play it. For existing fans of the original Payday 2 (Xbox 360/PS3/PC) you’ll be happy to know no expense has been spared in its port over to next gen. All the DLC (roughly £80’s worth) is included from day one on the disc and the series’ first female safecracker (Clover) makes an appearance alongside three other new playable characters: Dragan, Hoxton and John Wick. There’s also a ton of weapon and mod packs to appease those of you who think stealth is the boring option (roughly 80% of the planet there then). The PC pre-planning stage also makes its way for the first time to consoles. These stages reminded me a lot of Rainbow Six; you can scope out the upcoming game map ahead of time – co-ordinate your tactics with team mates and even draw paths and directions for your teammates to follow. It’s a nice inclusion on a port which didn’t necessarily need to have it. The games’ concept is simple: you and three other professional heisters are tasked with retrieving various assets (anything from cash to data, artwork to hard drives) from unsuspecting targets. The game is a lot more open minded than simply robbing banks though (although that is where I draw most of my joy from the title). The grass root bank-robbing missions where you must use stealth or brute force before heading chaotically to the getaway car give me an adrenaline rush like nothing else. The missions which have you accomplish other objectives (such as rigging an election or stealing paintings) help to flesh out the games’ narrative – yet for many gamers this isn’t what you’ll really be going in for with Payday 2: Crimewave Edition. If you and a few friends are next-gen savvy then you’ll take great pleasure in working as a team, completing missions in the most stylish way possible – whether that be with a ton of explosions or using your ultimate stealth abilities. I did find that if you play solely with randoms you might take less away from the game. Essentially the core gameplay boils down to Gears of War style horde-play, where you and your pals must fight waves upon waves of Special Forces who are trying to halt you in your tracks. There is a class-based structure to your team mates, so you can stock up and health packs and ammunition before heading into the lions den, although ultimately once you’re inside the map all hell will break loose and there will be little else to do but get stuck in. 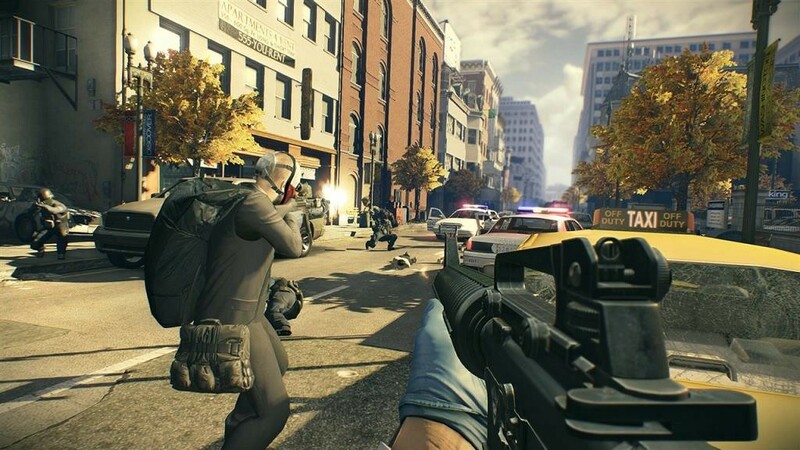 The easiest way to decide whether Payday 2’s gameplay is right for you is to think about Valve’s Left 4 Dead – it has a similar teamwork gimmick which works well if you play both independently or with strangers. There’s so much content on Crimewave Edition that you’ll find there are plenty of times you’ll need to play solo – if that’s something you can handle then you’re in for a real treat. Graphically, the game doesn’t look as impressive as I initially thought it would. The 1080p HD treatment doesn’t paint over some of the occasional cracks and jittery issues that appear when you encounter multiple enemies at once. The game clearly appears as though it was made for PC first and lacks some of the dynamic lighting and polished character models that A-Grade console titles currently posses. In many respects though, Payday doesn’t necessarily need that lick of paint; there’s a certain clarity to these fairly standard PC graphics that works in its favour. It reminds me a lot of the recent James Bond game, Quantum of Solace – big, bold, clean and coherent graphics that allow you to run amok without any hindrance. It’s a shame your AI opponents don’t behave in a similar vain – more often than not they will shoot you, turn around, face a wall then wait for you to obliterate them with your arsenal of weapons. They are cannon fodder in every sense of the word and their lack of tactical awareness (or just plain sensible thinking) means you rarely feel under pressure in some of the earlier missions. They’re more of an annoyance than anything – while you’re waiting for your drill to crack a safe they will keep running into endless bullet storms. Definitely no-holds-barred fun but equally nowhere near the intelligent execution the game had the potential of delivering. Payday 2 is a deceptively in-depth game considering the price it retails at. It can be as pick-up-and-play as you want or it can be a major time sink. It took me a while to realize some extremely basic things; such as the fact hostages are important to drag around with you throughout certain missions. They move very slowly and reluctantly, yet they often prove invaluable. In tough situations when your partners are downed, hostages can be used as leverage against the cops to gain the upper hand. A neat bargaining chip that I didn’t realize existed until I played with a stranger online. The Payday 2 team have also come out as saying Starbreeze will support the game for at least the next 18 months – so expect plenty of additional content to be on the way. There’s also a plan to keep both PC and console at content parity so you’ll know there’s no favoritism going forward. It feels to me like fanservice is definitely something the developers take very seriously. Despite what feels like a real lack of production values – Starbreeze and Overkill have produced a really entertaining game with bags of additional content in Payday 2: Crimewave Edition. It possesses Left 4 Dead-like addictive qualities and begs for you to replay its varied missions with as many friends as you can muster. For veterans of first-person shooters you may initially have some qualms with its controls; the sensitivity feels all out of whack and the aiming can be a tad loose – however, you’ll soon get the hang of it. Network servers are currently all running fine, I haven’t (at time of writing) encountered any noticeable bugs that many sources have warned me about. Will Payday 2 stand the test of time? Sadly I don’t think so. It isn’t quite the polished crime multiplayer shooter it will eventually be a few years down the line. In two games time, that’s the one we’ll all want to play. It’ll be tightly honed, well-animated and beautifully crafted with enough weight behind its AI and weaponry so that you genuinely feel the pressure when missions come to a climax. 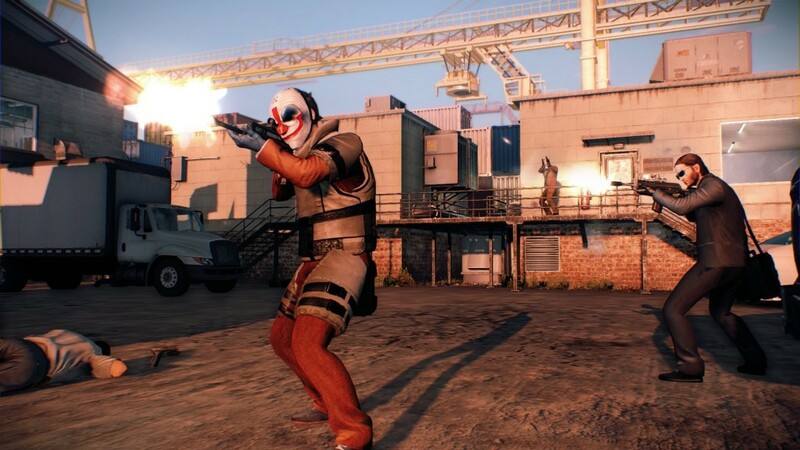 I thoroughly enjoyed my time with Payday 2: Crimewave Edition, it’s my cup of tea – however in a modern age of A-Grade slick shooters I can appreciate it won’t be everyone’s. Perhaps check out some of the missions online, try a demo – yet for the really low retail price on this one, it may well be a gamble worth taking!